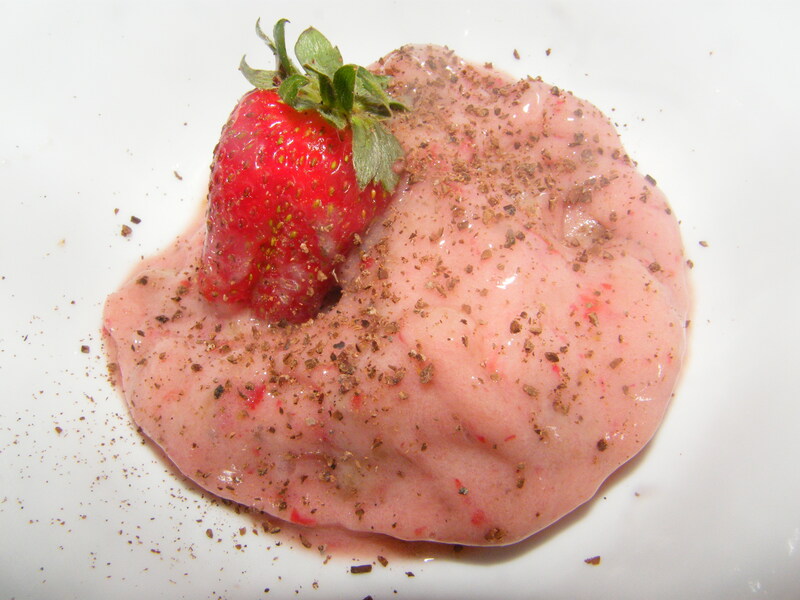 Explorations… and Sorbet. | edible. Sunny Saturday finds me at Leisure Coast Fruit Market, Fairy Meadow. A long overdue trip. The temperature inside the market is goosebump-chilly, but I spend a good hour or so carefully perusing the shelves anyway. The mass of goodies are notated in my ‘Product list’. 3. Blend with other ingredients. ..sprinkled over with choc vanilla nibs. Exhibit B: The sky/your imagination/cooking skill is the limit. 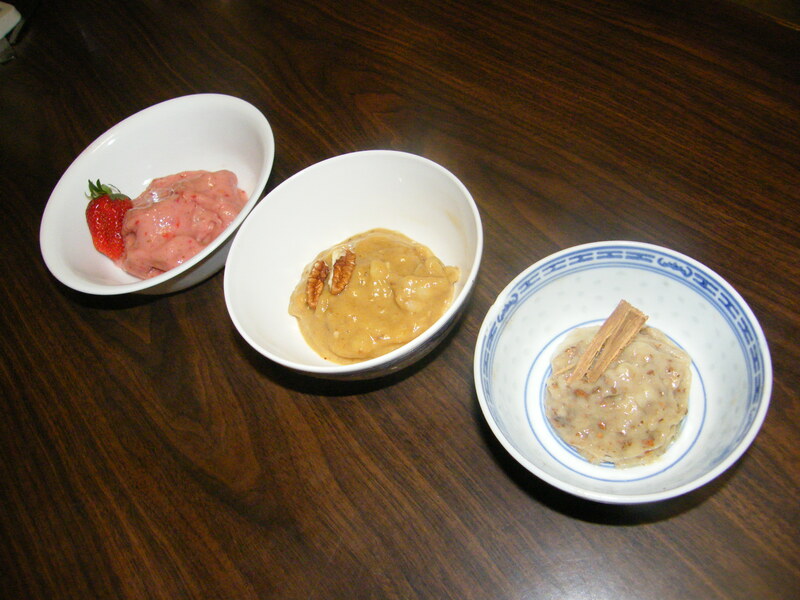 Left to right: Banana strawberry; Caramelised carob pecan; Cinnamon. Coat pecans in sticky liquid of choice (carob molasses in this case, though maple syrup would also work) and watchfully heat in oven until coating caramelises. 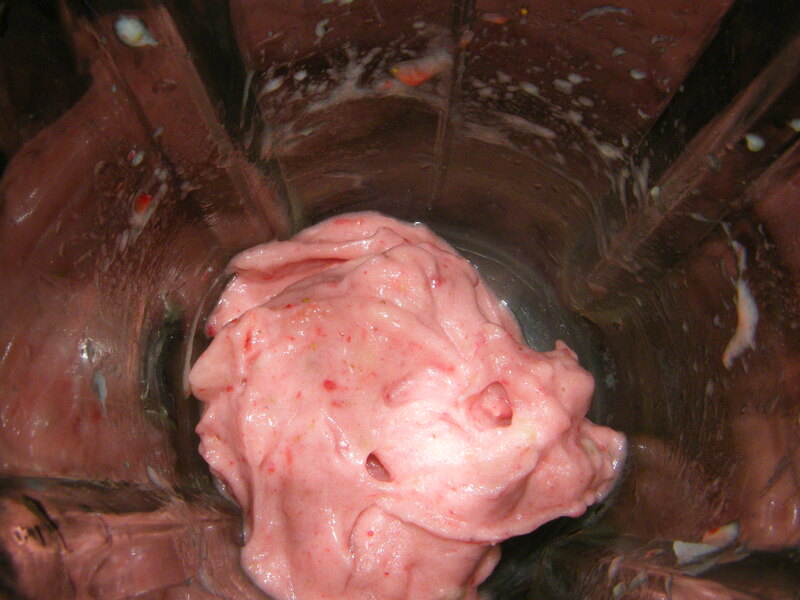 In some blenders, you may need to add a liquid (such as rice or almond milk) to facilitate the blending. Pause blending and stir often. Mushing with fork helps too.